This full story will run Wednesday night on NBC26 News at 10:00. It's a normal, daily routine - getting on and off the school bus. It's also a spot that the National Center for Missing and Exploited Children said can be one of the most vulnerable places for children. "Anything outside the normal, be concerned about," Brown County Sheriff's Department Deputy Jim Dagneau said. Dagneau took our NBC26 crew to a school bus stop to see what children may be doing right or wrong as they get off the school bus. He said that children should always stay watchful and mindful. "Any scenario where it's a daily situation, you're there all the time, and something just doesn't seem right and something out of the ordinary appears, or you're approached by somebody you don't know, that's obviously a situation you need to get out of," Dagneau said. Dagneau points out that students are getting off the bus stop in a group and walking together - that's a good thing. Dagneau said that being together reduces vulnerability. "There's safety in numbers," he said. "If there's two or three people together, you're least likely to be targeted." 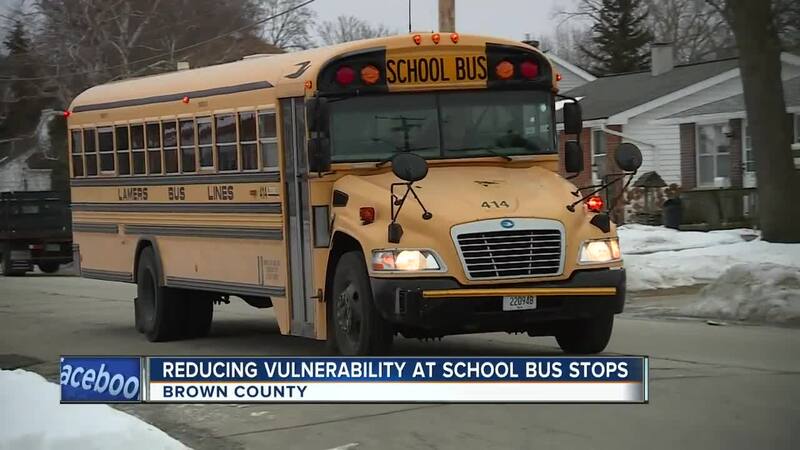 NBC26 also visited some busy bus stops in Green Bay. We saw one student walking down the street alone, but we also noticed that several children quickly found an adult. "I think another big aspects is parents, if they have young kids, waiting at the bus stops for the kids," Green Bay Police Officer Jade Schneider said. "Being there when they get off - a parent, guardian, some type of adult." Officer Schneider said that parents have another role in this as well. "Parents know their kids best," she said. "Parents have to get down to their kids level, while teaching their kids that there are bad people in this world. Everything is not fine and dandy." A criminal complaint shows that the man who allegedly kidnapped Jayme Closs first saw her getting on the bus. The complaint says Jake Patterson told detectives, "he knew that was the girl he was going to take." During our visits to the bus stop, we don't see suspicious activity. If children see something, Dagneau says they should speak up and tell and adult. "We'll send a squad over, we'll have them check it out," he said.